Corazon Del Pueblo lives on through community sister spaces throughout the Eastside. 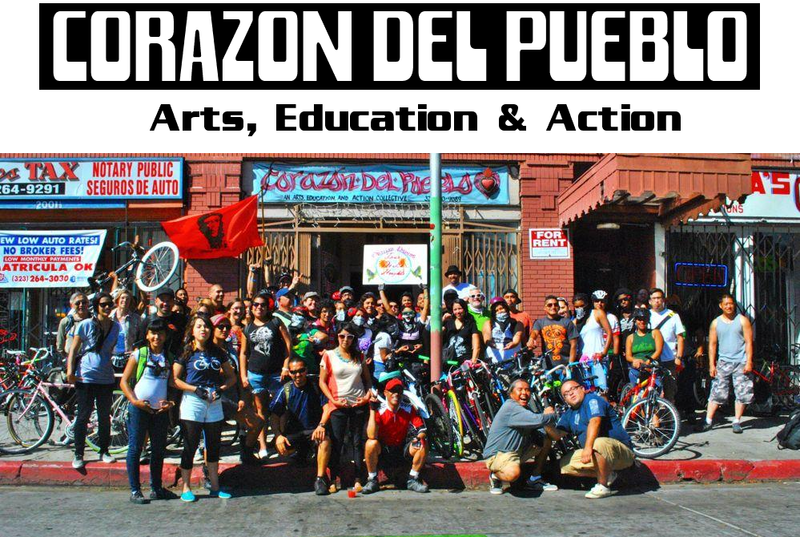 Community spaces will host Corazon programming until a new space is located. Now in its 10th year, the Reel Rasquache Art & Film Festival (RRAFF) is a three day creative forum where talented Latino/a artists are brought together, sharing their visions through multimedia. RRAFF is very happy to return for the second year to Boyle Heights’ Casa 0101. RRAFF12 will take place May 17-19, 2013. Since 2006, RRAFF has dedicated a space program for emerging youth filmmakers. Youth filmmakers, their teachers, friends and families join together for an afternoon of a free admission program to celebrate the promise and talent of youth-produced films. RRAFF13 proudly presents its annual Youth Filmmakers Showcase, which will take place on Saturday, May 18th, 2013 at Little Casa 0101 from 1:00-5:00 pm. Two youth filmmaker workshops will be conducted from 1:30-2:15 followed at 2:30-4:00 by the youth film screenings and awards followed by a 4:00-5:00 pm reception for the young filmmakers and their guests. It is for one of the workshops from 1:30-2:15 and the 4-5 pm reception that RRAFF13 requests use of the Corazon del Pueblo space. The Festival is happy to discuss compensation to Corazon del Pueblo for such support.